I am in area after defeating mutant and two orange workers,there is pushable item but it seem nothing useful,doors are closed and I can't get back beacuse rhey closed after walked through them and from there i can't use the switch beacuse it's broken,this area is check point number 4,how get out there? We start Part 2 with one die in the inventory. 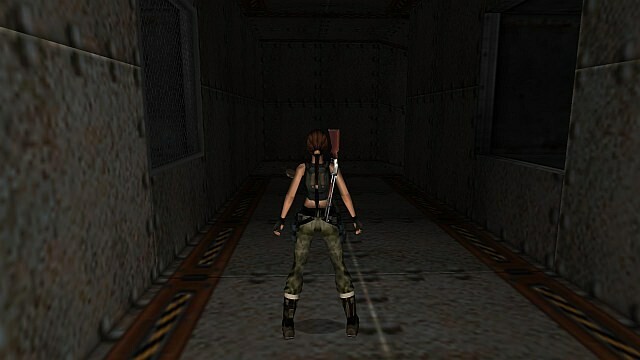 This blue die was collected in Part 1 and remained in Lara's inventory at the end of Part 1. In Part two, first two levels, we collect 6 more dice and we have 6 magic hands. It means that you collected all six dice (secrets) and exchanged them all. The one in your Inventory remains as an extra die from the beginning of Part 2. There will be more magic hands in other levels, that extra die will be useful later. It's over... Awesome level...more more! 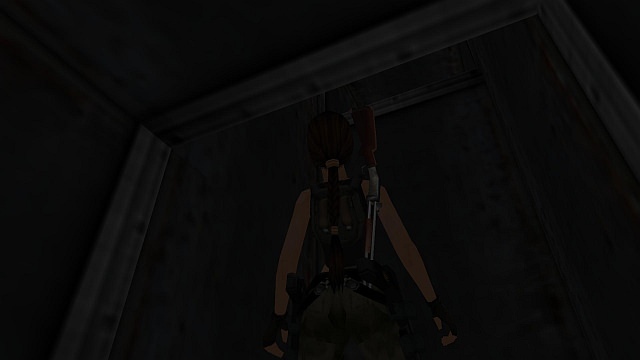 In the place where the secret cube was, look up. I'm missing one soul too and I think this must be the one. If I look up, all I see is A-467-899, which means nothing to me. I find it strange again that one can leave the area without having found all the lost souls but hey. I found one in the power generator area, another one in the marble tile room and yet another one somewhere else (which may mean somewhere in power generator area again - down below where I shot a worker that left some antidote behind? Or not? I did look at the pictures on the first page but I can't tell anymore). 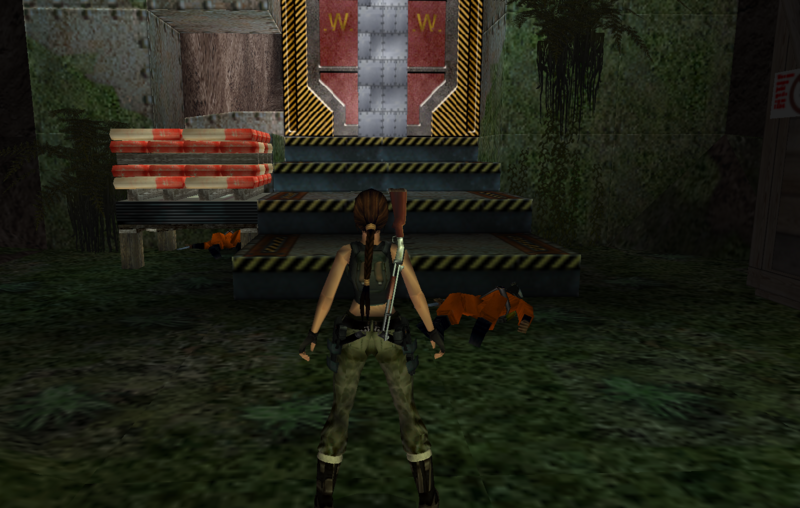 Also, is that round plaque one got from the power generator machine to be used only in the full level? I had started this Custom Level, but I had problems with an item that I do not know where to use. I had finished Part 1 and it was fantastic! So I've read. I'm just not sure where I found them anymore as I've been going from place to place to place.... I'll get back there and see if I can find anything else. Thanks, Nina. I did find it, Nina. Had to learn how to use the soul detector too. Pretty sneaky. Now I'm in the parallel area, jumping from here to there and from there to up there and shooting down a few skeleton birds along the way while Mr. Death roams the hallway. I only found the obvious pedestal so far but I'll get there later. Now I'm stopping. Btw, could you please tell me how one gets out of the dice room and back up (unless it's got something to do with the ending of the parallel part I'm playing now, in which case we'll see? One final question: are we supposed to keep a savegame so that we can play the full version? The savegame SHOULD work in the Full version normally, they work now! Unless Lima changes something huge, then the savegames wouldn't work. But no huge changes are planned. Exactly what I was asking: whether we should (not "had to") keep a save for the full version. It seems like it's a good idea to do it. Thanks.